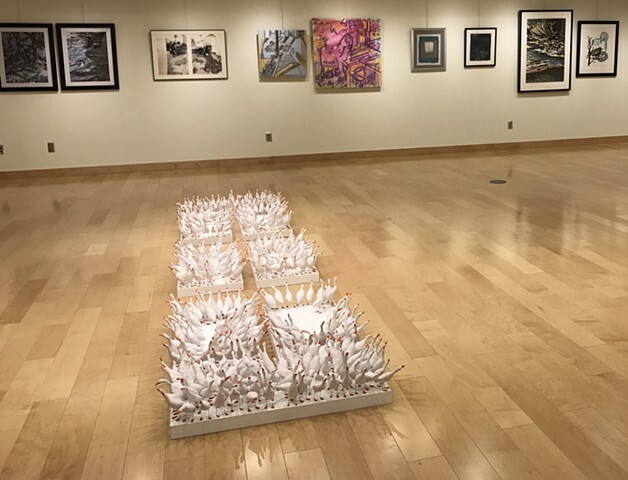 The second exhibit of The Imprinted was installed at the Memorial Gallery at Farmingdale State University. The new arrangement explored tightly contained spaces that grouped the ducks. Compositionally, this raised new questions about the relationships of the ducks to each other. It also reiterated the concept of aerial views of industrial farms, further removing humans from the reality of animal agriculture.